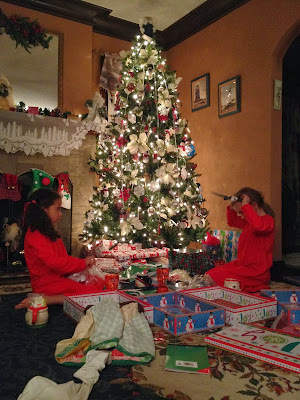 Christmas Eve and Christmas Morning unfold each year in the same spot where it unfolded for me and my sister for most of our childhood. 30 years later, it looks much the same; the number of bodies (and gifts!) in the room has just multiplied. 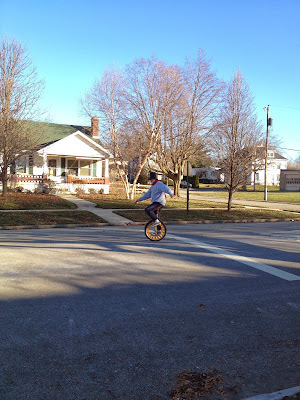 Here are the highlights from Christmas in Xenia this year! 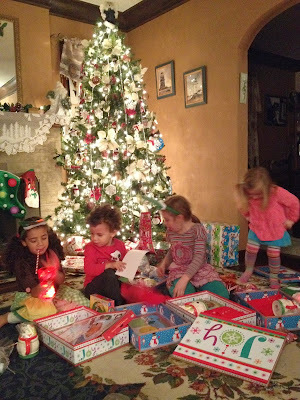 We kicked it all off with Christmas Eve boxes with pajamas, treats and holiday surprises - a tradition that dates back to Christmas Eves at my Mimi & Pop's house. The cousins are always SOOOO excited to see each other and all the cousin-hijinx that go with that. 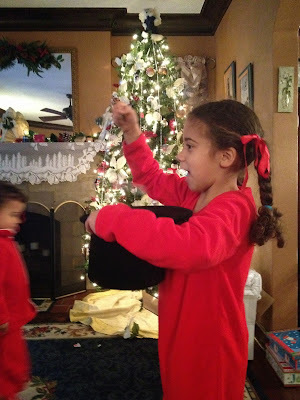 The girls got magic kits and the great Lyla-Bird-ini was born! 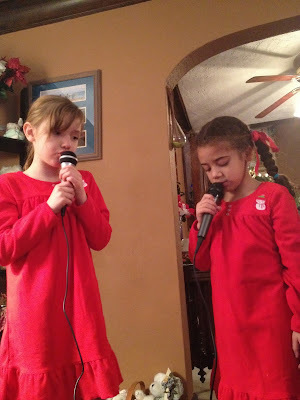 Santa brought karaoke machines and the girls worked on conquering "stage fright" with the help of the Sound of Music Soundtrack. The BEST moment of Christmas morning had to be the kids in the hot tub watching the Disney Christmas parade. Everything about it was adorable. And hilarious. It was really fun to watch all the DisneyWorld sights and remember all the fun we had there. I might even have experienced my first case of Mouse-ache. 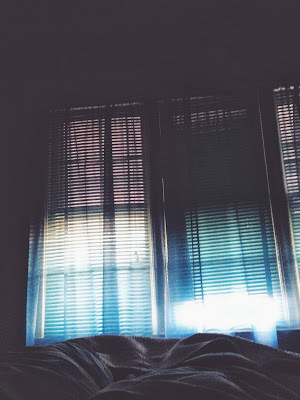 There was Rainbow Looming (and the cussing that goes with Rainbow Looming). Even though the other room housed the holiday mother-load, these boxes were the runaway favorite! In other top moments, DD busted out the unicycle! I woke up in my childhood bed each morning. And there's some magic in that. 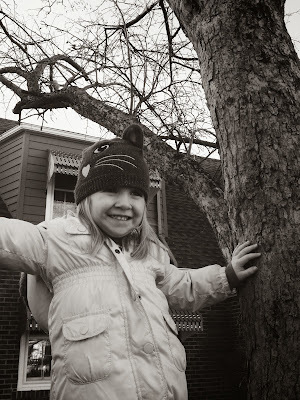 It finally warmed up enough that we could get outside and had some fun helping the kids climb trees we used to climb. Really, this is the best way to sum up all our time there. 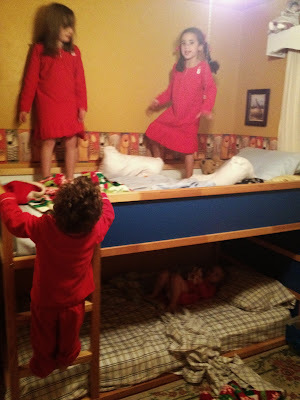 Pajamas well into the day & lots of jolly, happy souls. Still going strong! Two days later! Special thanks to Grandma & DD for all the holiday magic - spoiling us all rotten, cleaning up after the Christmas morning explosion, keeping lots of tummies full and always making the house we grew up in feel like home. XOXOXO!